The crisis at Japan’s Fukushima Daiichi Nuclear Power plant drags on, with even more worrying news emerging today of radioactive iodine in Tokyo’s water supply. The entire infrastructure of one of the world’s most modern and cohesive societies seems to be threatened with collapse. Seen from outside, this crisis seems likely to have huge reverberations in Japan. The Japanese collective imaginary was indelibly marked by the U.S. use of atomic weapons to destroy the cities of Hiroshima and Nagasaki during World War II. 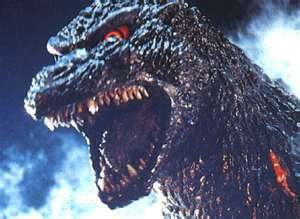 The nuclear nightmare lived on in the post-war period in popular cultural icons such as Godzilla, whose slashing tail and fiery breath leveled entire cities just as the atom bomb had, with Japanese cinema-goers watching this replay of their traumatic history in a kind of mass repetition compulsion. How tragic, then, that the country is now reliving a nuclear nightmare. But, given this traumatic legacy of being the only nation subjected to nuclear weapons, why did Japan build nuclear power plants anyway? The answer lies in the resource crunch that led Japan into war. As Gabriel Kolko and other historians have argued, Japan attacked the U.S. at Pearl Harbor not simply out of jingoistic malignity (as is often the representation in U.S. accounts of the war), but because of competition over resources. Japan lacked many of the natural resources necessary for a modern industrial economy, including, first and foremost, petroleum. As a result, the Japanese began to expand the tentacles of their empire into the South Pacific during the first half of the twentieth century. They quickly ran into the tottering remnants of the British empire and the newly assertive presence of the U.S. in the region. The U.S. moved aggressively to prevent the Japanese from gaining access to petroleum, rubber, and other important resources. The attack on Pearl Harbor, then, was the preemptive act of a power that felt it would ultimately be outmaneuvered on the chess board of inter-imperial conflict in the Pacific. The bloody war that ensued underlined in even more dramatic terms the need to develop alternative sources of energy to those which the Japanese empire had sought and failed to capture by force of arms. Hence the turn to nuclear power. The questions raised by Japan’s ongoing nuclear agony hit close to home for New Yorkers today. The Indian Point nuclear power plant sits only 24 miles north of downtown Manhattan. Recent publications by Columbia University researchers suggest our region is more prone to seismic activity than previously understood. And there’s always the threat of terrorism. The debate about nuclear power is likely to intensify as a result of the crisis in Japan. Last year I moderated a panel during which the noted climatologist James Hansen underlined the gravity of the environmental crisis that is likely to unfold as a result of our failure to curb the release of greenhouse gases. At the end of his presentation, Hansen argued that we need to embrace nuclear power in order to forestall cataclysmic climate change-induced natural disasters. President Obama has been following this line. A shouting match broke out as a result of Hansen’s pro-nuclear position as audience members adamantly opposed to nuclear power raised their voices and refused to clear the hall after the scheduled end of the event. Such debates are already returning to the media and the halls of Congress. The issues we’re confronting are agonizingly difficult and not at all cut-and-dry. A powerful riposte to the anti-nuclear green position, for example, is offered here by environmental writer George Monbiot. Japan’s nuclear crisis has massive implications for us all. Perhaps some good may come out of crisis at the Fukushima Daiichi reactors in the long term, despite the unfolding devastation today. Perhaps Japan will lead the way in developing the renewable sources of power that global human civilization needs in order to forestall catastrophic climate change. But, if it does so, it is unlikely that the country will be able to sustain a modern industrial infrastructure. The future is not, in other words, at all clear. In addition, the DOE is proposing to locate the two new nuclear power plants that are intended to “kick off” the U.S.’s new, in a predominately low income African American area in Georgia which already has TWO nuclear power plants!